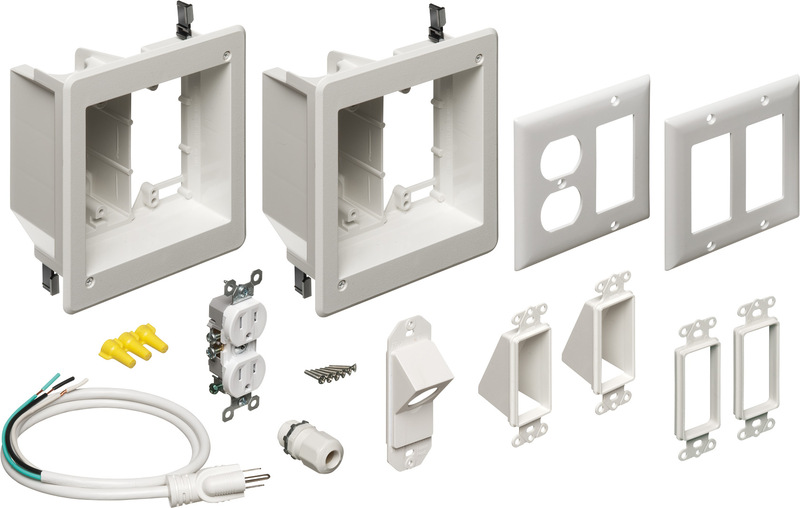 TVBR2505K TV Bridge™ includes TWO recessed power/low voltage combo boxes and all the connections you need (except for NM cable) to install a flat screen TV in an existing wall. There’s no need to run cable from a panel box – or cut holes in your framing members. Just cut two holes in the wall and access power from an existing, nearby source. 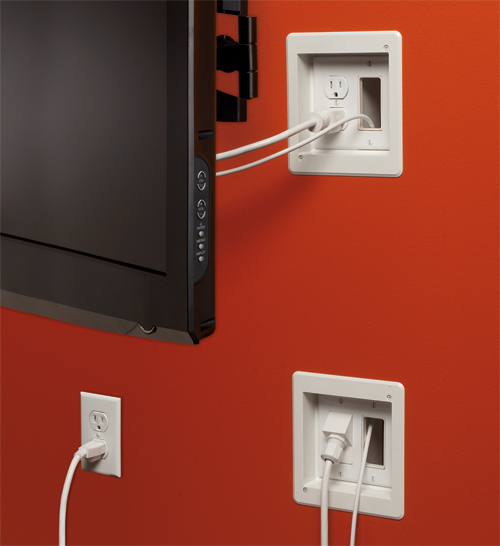 All wires stay hidden behind the wall – no messy wires running down the wall from TV to components. 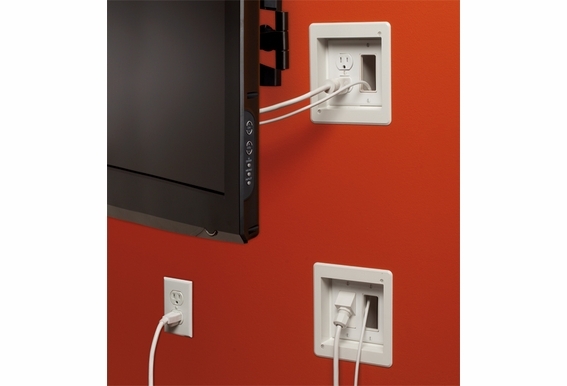 Plugs stay inside the electrical box – don’t protrude past the wall. Mounting wings hold boxes securely against wall when screws are tightened. Paintable trim plate. 18.0 cubic inch recessed boxes. will a keystone plate fit on here?